Manufacturers and suppliers of quality water treatment systems in Northamptonshire, Leicestershire, Bedfordshire and surrounding counties. Water softeners, filters, sterilisation & reverse osmosis. With over 25 years experience, Clearwater Softeners has established itself as a manufacturer and supplier of quality water treatment systems. Our range consists of water softeners, filters, reverse osmosis units and tailor made systems to customers specific requirements and budgets. 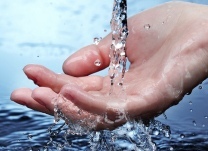 Clearwater can advise on both water softening and purification for your home or business. We offer honest impartial advice on the best system for your needs and pride ourselves in providing an excellent after sales service. For most existing systems we have the ability to service and carry out general repairs to the highest standards. Other services include spare parts for most systems, filter cartridge replacements and salt deliveries. At Clearwater we recognise that business is carried out between people and not companies. We endeavour to develop long standing relationships with our customers and suppliers. Our concept at Clearwater has always been to offer a traditional reliable and honest service at fair prices with all the necessary expertise in all the relevant areas.